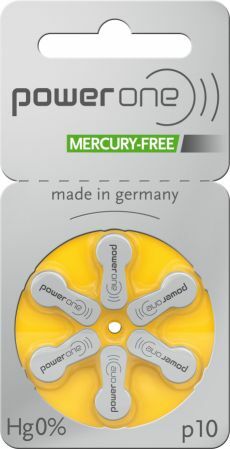 Power One Size 10 hearing aid batteries are 1.45 Volts and Mercury Free. Please note there is a new Hg free logo on packages that do not contain the words 'Mercury Free'. 60 cells per order.